“Embark upon no enterprise you cannot submit to the test of prayer”. Today is January 17th, 2011, the day we honor Martin Luther King’s birthday and remember the DREAM. What dreams do you have in your heart that will make a difference in the lives of others as well as for you and your family? To carry out the dream we need to write our goals and action steps that will help us live out the dream. It is a good thing to have dreams, goals and to write specific goals ( see Pam Perry article http://ladyof prayer.com/?p=284 ). However, one ” first thing or goal” needs to be sought first. The first goal we should have is to develop, improve, and seek an intimate relationship with the Lord Jesus Christ in prayer ( and study of His Word.). God wants a relationship with us/you. We should press, stretch and get out of our comfort zones to maintain a prayer relationship with Him. It is the goal that will have eternal benefits. It is the goal that will give us power,wisdom and guidance about all of our other goals such as improving family relationships, getting out of debt, starting that buisness, writing that book , starting an exercise plan or healing the relationship issues between balkc women and men(See thought rovoking articles by Gary Hardwick on this issue) Prayer is the key to unlocking God’s power in your life to carry out what God has placed in your heart. Here is an article that arrested me by Phil Miglioratti, a member of the Church Prayer Leaders Network of which I am a member, about making prayer a priority life-style commitment as the one true foundational goal.
. . . we need only one spiritual new year’s resolution. I confess, I have never been good at setting, let alone keeping, resolutions at the start of each new year. Those who stop smoking or start diets impress me; those who keep at it longer than a few days (or hours) make me jealous. And those who go beyond good health resolutions and set spiritual goals and stick to them throughout the coming months shame and humble me. Anyone can make a resolution; it takes commitment to stay resolved to fight the battles to achieve the objective. And commitment, someone said, is moving beyond good intentions. I have a long list of good intentions. Which is why Don Whitney’s “Questions for a New Year” in LifeWay’s Pastors Today E-letter caught my attention. The author, a former pastor and then seminary professor, presents 31 questions designed to aid our spiritual transformation; one-a-day spiritual vitamins! He writes: “The beginning of a new year is an ideal time to stop, look up and get our bearings.” I especially appreciate how he then formats his insights as questions because someone elses’ declarations call for my agreement (not a bad thing) but questions call for my reflection and discernment. Much more potential of Holy Spirit partnership. But I said we need only one spiritual new year’s resolution, not 31. “For starters, here are 10 questions to ask prayerfully in the presence of God,” Whitney begins as he sets us on our journey with wisdom that is so obvious we often fly right past it! How many of us have prayed about our resolutions but only after we selected them. “Help me lose those 5 extra pounds or start each day at the fitness center or stop this or begin that”–probably all worthy goals but chosen without and before any prayerful dialog with the Lord. I began reading down the list of questions . . . I searched first for any questions that related specifically to prayer and found #7, praying for lost persons to find Christ (imagine what changes our nation would see if every Christ-follower began to seriously pray for his or her neighbors by name and need and for his or her neighborhoods and networks!) and #9, focusing specifically on our own prayer life (someone said we need to exchange a prayer life [usually referring to a brief time spent telling God what we need Him to do] for a life of prayer). Two in the first ten seemed like better representation for prayer than usual. Very hopeful. My second time through the list was an “Ah-Ha” moment! Responding to the first, then the second and third and continuing, I realized “Pray” would be a more than appropriate answer to each question. 1. What’s one thing you could do this year to increase your enjoyment of God? Pray. True prayer is enjoying the presence of God, not merely telling him things he already knows. 2. What’s the most humanly impossible thing you will ask God to do this year? Pray. Praying is very hard work that, once accomplished, sees impossible results. 3. What’s the single most important thing you could do to improve the quality of your family life this year? Pray. Especially out loud, together. 4. In which spiritual discipline do you most want to make progress this year, and what will you do about it? Pray. Pray for a partner who will hold me accountable. 5. What is the single biggest time-waster in your life, and what will you do about it this year? Pray. What I do instead of praying is a huge time-waster. 6. What is the most helpful new way you could strengthen your church? Pray. For the pastor. For a reviving of faith and a revising of how we function. 7. For whose salvation will you pray most fervently this year? Pray. Everyone agrees with this but not everyone brings up in heaven real names of real people. 8. What’s the most important way you will, by God’s grace, try to make this year different from last year? Pray. By praying about and for and through every thing. 9. What one thing could you do to improve your prayer life this year? Pray. Read, study, use website resources, yes, but actually carve out time and place to pray. 10. What single thing that you plan to do this year will matter most in 10 years? In eternity? Pray. Hands-down winner. Everything (missions, evangelism, stewardship) flows from the life of a person who has moved beyond good intentions to a life of prayer. For starters, here are 10 questions to ask prayerfully in the presence of God. Phil Miglioratti is a prayer warrior and prayer leader. He has written many articles on prayer and facilitating group prayer. Having served as a teacher, leader and facilitator on prayer in various arenas, currently he is a Church Prayer Leaders Network, Facilitator, and also a National Pastors’ Prayer Network, Facilitator (www.nppn.org). He serves on the National Prayer Committee and is the Illinois Baptist State Association, Prayer and Vision Consultant. 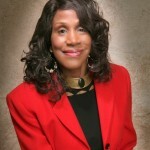 Linda Fegins, The Prayer Leader, formerly served as Prayer Coordinator for over 12 years for the Lydia Circle of Christian Business and Professional Women , is a member of the Church Prayer Leaders Network and leader of the Intercessory Prayer Ministry at her church. Pray for family or personal financial problems. Pray for forgiveness and restoration of family relationships. Pray for those who are grieving due to death of loved ones, divorce or loss of a job. Pray that God will give your church a vision for the mission task so that all will be motivated to pray and give faithfully. Pray for your Pastor that he or she will be used of the Lord to equip the saints for the work of the ministry. Pray for unreached people groups worldwide to be reached with the gospel. Ask for laborers, open doors, adequate funds and a receptive response. Lift up the names of the leaders of your nation, state/province and community asking the Lord’s strength and wisdom come to full maturity in each one as they learn to rely on Him. Pray that God’s awesome power might be clearly evident throughout the kingdom worldwide. “How awesome are your deeds! All the earth bows down to you”. ( Psalm 66:3-4). “Lord, I draw close to You today, grateful that You will draw close to me as You promised in your Word ( James 4:8). I long to dwell in your presense and my desire is for a deeper and more intimate relationship with You. One prayer warrior Alvin J. Vander Griend calls prayer “the talking part of the most important love relationship of your life”. God loves you so that, although He is sovereign, He has decided that He wants a relationship with you and to commune with you. Prayer is an awesome privilege .Two reasons for prayer is to develop a relationship with God and to release God’s will on earth. You want to draw closer to Him and to know Him? You need answers? You want God to guide you as you set and carry out your goals ? Come join the 21 Day of Prayer and Fasting with myself and Minetta Hare of Faith at Work Ministries. Below is information Missionary Hare has supplied about the 21 Day Prayer and Fasting Journey. 1. Determine to spend quality time with the Lover of your soul every day. Decide to start out with half an hour and increase it slowly. Be diligent and be faithful. We can never grow or develop an intimate relationship with God unless we spend quality time with Him. 2. Have a journal. God has so much to speak into your life. It may not happen overnight if you haven’t been praying on a consistent basis. But remember He is right there listening. Prayer is a dialogue. He wants you to listen also. Don’t give up. He hears the prayers of the righteous who have accepted Him as Lord and Savior and have no inquity in their heart against another. 3. Join the Global Prayer Force 21 Day Fasting and Prayer Journey led by Missionary Minetta Hare of Faith at Work Ministries. Below is information on getting started on the Prayer and Fasting Journey. Prayer and Fasting: A Closer Walk with Thee #gotblog. by Minetta Hare on Saturday, January 1, 2011 at 6:16pm. Excitement and anticipation awaits you as embark upon the next 21 days of praying and fasting. Below are suggestions, comments, prayer points/concerns and recommendations to help you complete the journey. BIBLE READING: Read the Book of John during our 21-Day Prayer & Fasting Journey. One chapter per day. JOURNALING: Write down your feelings, emotions, resolutions, unctions from the Holy Spirit or whatever your spirit telling you during your time of prayer. •Minetta Hare and Faith at Work Ministries (FAWM) 21-Day Prayer & Fasting Journey starts today. We are using the Daniel Fast for period of time. Ask the Lord to give you guidance and directions regarding fasting. See notes for kinds of Fasts. • Purpose. Preparation. Commitment. Action. Results. These are the ingredients for successful biblical fasting. • PURPOSE. Why We Should Pray and Fast. We need to 1)Crucify the Flesh. 2) Hear the Voice of God 3) Power and Anointing in Our Lives 4) More Faith 5) Healthy Lifestyle. • COMMITMENT. The first step to successful prayer and fasting is to make a commitment to do it! Make your proclamation and commitment today! Write out a commitment form between you and God. •PREPARATION. We must prepare for a successful prayer & fasting journey. This is not a quick or shortcut process to achieving our goals and objectives. Prepare your heart, mind, body and spirit for this transformation and encounter with God. It takes time and effort. Seek God’s Presence and His Face through prayer, meditation, dedication and fasting. Week 1 – January 1 – 7 Repent of your failings and shortcomings. Ask God to search your heart. Psalm 139: 23-24, Psalm 51. Fasting is not just for the purpose of resolving specific problems. It has purpose of renewing and strengthening your relationship with God so that your everyday prayers can be more effective. Week 2 – January 8 – 14 Pray and Intercede for Others and their Needs. Week 3 – January 15 – 21 Boldly present Your Own Needs Before the Lord. Be sure to consult your doctor before beginning any fast, especially if you have any type of medical condition. How to Begin Start with a clear goal. Be specific. Why are you fasting? Do you need direction, healing, restoration of marriage or family issues? Are you facing financial difficulties? Ask the Holy Spirit for guidance. Pray daily and read the Bible. Preparing Spiritually Confess your sins to God. Ask the Holy Spirit to reveal areas of weakness. Forgive all who have offended you and ask forgiveness from those you may have offended (Mark 11:25; Luke 11:4; 17:3-4). Surrender your life fully to Jesus Christ and reject the worldly desires that try to hinder you (Romans 12:1-2). Deciding What to Fast The type of fasting you choose is up to you. You could go on a full fast in which you only drink liquids, or you may desire to fast like Daniel, who abstained from sweets and meats, and the only liquid he drank was water. Remember to replace that time with prayer and Bible study. Deciding How Long You may fast as long as you like. Most can easily fast from one to three days, but you may feel the grace to go longer, even as much as 21 to 40 days. Use wisdom and pray for guidance. Beginners are advised to start slow. What to Expect When you fast your body detoxifies, eliminating toxins from your system. This can cause mild discomfort such as headaches and irritability during withdrawal from caffeine and sugars. And naturally, you will have hunger pains. Limit your activity and exercise moderately. Take time to rest. Fasting brings about miraculous results. You are following Jesus’ example when you fast. Spend time listening to praise and worship. Pray as often as you can throughout the day. Get away from the normal distractions as much as possible and keep your heart and mind set on seeking God’s face. How to End Don’t overeat when the time comes to end your fast. Begin eating solid food gradually; eat small portions or snacks. PRAY, PRAY AND PRAY SOME MORE.